New York is a funny place. Madison Square Garden is round and it isn’t a garden either for that matter. Former mayor Rudolph Giuliani, who was presiding over the city that never sleeps on that fateful morning of September 11, 2001, had been running around the country in behalf of Donald Trump for about a year telling the fact resistant people at those crazy rallies that there were no terrorist attacks on U.S. soil before Barack Obama became president. In Manhattan people, drive on parkways and park... well they park in New Jersey to be honest. I suppose you can still jump in a taxicab in the big apple and ask the cab driver. “Do you know how to get to Carnegie Hall?” and he will turn and say, “Practice, practice, practice.” The great Jimmy Reed played at Carnegie Hall. By the time he got there he had plenty of practice. There is even an album entitled, Jimmy Reed at Carnegie Hall. This work by one of the most popular and enduring blues figures of the 20th century is the subject of this review. It should be noted that this is not a live album and it wasn’t recorded at Carnegie Hall. Like I said, New York is a funny place. This record was originally released in August of 1961 as a double album on the Vee-Jay label with whom Jimmy Reed had enjoyed nearly a decade of success at this point. While the title of the record might suggest this is a live performance of the blues man’s recent concert at that famed New York venue, it is actually new studio recordings replicating the songs that he performed that night. The second slab of vinyl consists of previously released material by Vee-Jay entitled, Jimmy Reed’s Greatest Hits. Surprisingly enough, there isn’t a single tune duplicated on any of the twenty three tracks on this career defining album. Jimmy Reed was born in Dunleith, Mississippi, on September 6, 1925. Like many folks he escaped the brutality of the Jim Crow South and headed to points north where he eventually landed in Chicago and reunited with his childhood friend Eddie Taylor. It was Taylor who taught Reed how to play the guitar. Reed was turned away by Chess records, but landed a deal at Vee-Jay and started his own one man hit factory. One song after another poured out of Reed in the studio. However, his acute alcoholism somewhat stifled an otherwise successful career. His wife Mary, known as Momma Reed, sings background vocals and actually can be heard on some recordings feeding the words to her often hopelessly inebriated husband in the recording studio. It became part of the Jimmy Reed sound. That sound came at the right time. Not only did Reed find success in the black jukebox market, but was there at the dawn of the white college folk scene, where blues men found an entirely new and unexpected audience. His records actually crossed over and were played on mainstream radio in the late 50’s and early 60’s. By the time he played at Carnegie Hall it could be argued that Jimmy Reed was the most popular blues man of the day. Song after song with easily identifiable lyrics and sung with a relentless casualness in front of the sturdy groove of guitarist Eddie Taylor made for an irresistible cocktail that both African-American and white audiences could enjoy. It turned out that 1961, this release, as well as his performance at Carnegie Hall represented the zenith of the career of Jimmy Reed. He never again achieved the kind of critical or popular acclaim for the duration of his rather short life. Jimmy Reed died on August 29, 1976, one week shy of his 51st birthday. 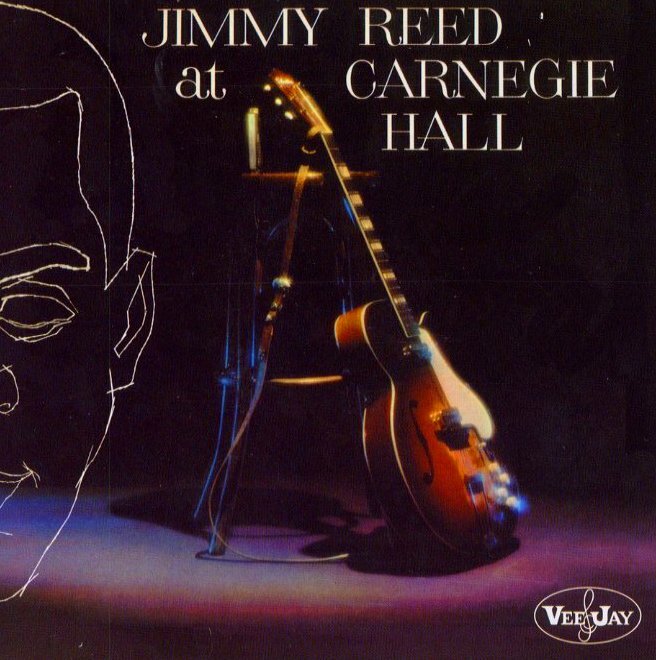 Jimmy Reed at Carnegie Hall has since been re-issued by Vee Jay on a single CD. In addition Mobile Fidelity has also re-issued this classic on what they call a Gold Ultra Disc using the original master recordings. By the way, I’m sorry to report that the famed Carnegie Deli, which sits adjacent to Carnegie Hall on 7th Street in New York City, closed its doors for the last time on December 31, 2016. It had been in operation since 1937. So nothing lasts forever...except a real cool Jimmy Reed song. On this recording, twenty three enduring classics by old mush mouth sit side by side and serve as a reminder that nothing beats an old Jimmy Reed tune. Jimmy Reed at Carnegie Hall is true desert island disc, even if that island happens to be Manhattan...which can be a funny place. 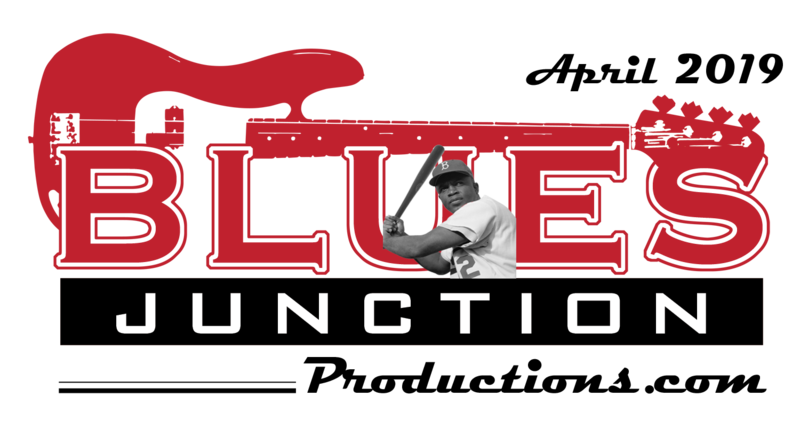 Copyright 2017 BLUES JUNCTION Productions. All rights reserved.